In 1932, the United States and Canada created the world’s first International Peace Park: joining together Glacier National Park and Waterton Lakes National Park as the Waterton-Glacier International Peace Park. At the time of inscription, the Peace Park commemorated the peace and goodwill our two nations share. 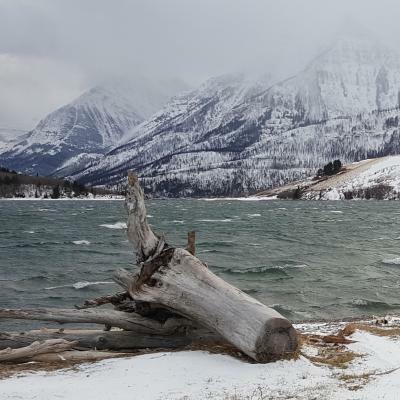 Today, Waterton Lakes National Park and Glacier National Park use peace and goodwill to work towards shared management: protecting the water, plants and animals that are found in the WGIPP. 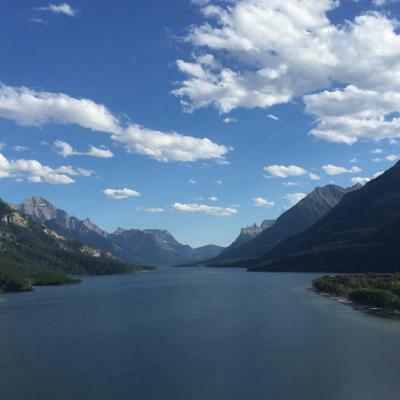 You will find the Waterton–Glacier International Peace Park an oasis of solitude and tranquility, a powerful setting for personal reflection on peace. People have always been at the forefront of the WGIPP. Beginning in 1911, Waterton’s first park official, John G. "Kootenai" Brown, forged a friendship with Henry "Death on the Trail" Reynolds, an American Ranger from Goat Haunt, MT. Upon meetings and visits with one another the two men discussed the idea of joining Waterton and Glacier. Both men felt that the upper Waterton valley, which is intersected by the Canada/US border, could not and should not be divided. Waterton Lakes National Park is a national park located in the southwest corner of Alberta, Canada, and borders Glacier National Park in Montana, USA. Waterton was Canada's fourth national park, formed in 1895 and named after Waterton Lake, in turn after the Victorian naturalist and conservationist Charles Waterton. The park contains 505 km2 (195 sq mi) of rugged mountains and wilderness. There are countless reasons to love Waterton, and every time I walk out my front door, I can’t believe I am lucky enough to call it “home”. 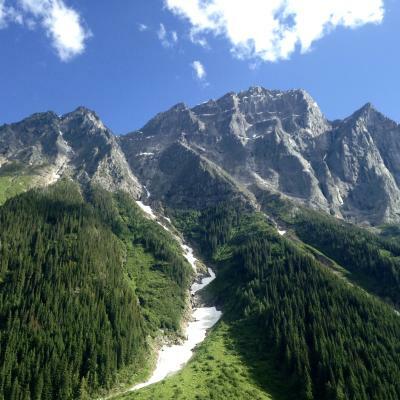 The stunning mountain vistas and the seemingly endless diversity of wildlife and wildflowers landed it a Unesco World Heritage Site and part of the world’s first International Peace Park. peeled because in Waterton, it’s hard to go a day without encountering wildlife up close and personal. You're in their territory now! So come join me as I continue to explore my backyard and I promise you won’t be disappointed! We’ll visit the iconic Prince of Wales Hotel with the unbeatable view. We’ll climb up Bear’s Hump and try not to be blown away (literally and figuratively). And who knows? 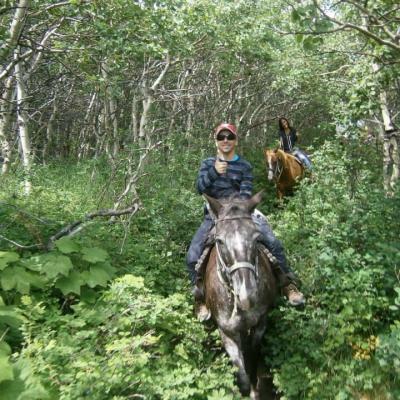 We may even make friends with a moose along the way! From a distance, of course. 1. 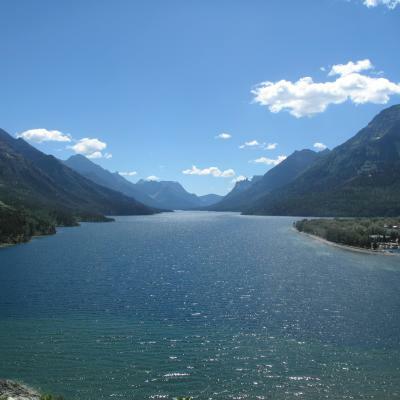 Waterton was designated as an International Peace Park along with Glacier National Park in Montana as a way to establish peace and goodwill between the two neighboring countries. Today, both parks work together for the preservation of the ecosystem, bridging gaps often created by borders. 2. Waterton is known for being “where the prairies meet the mountains”. The mountains are dramatic and stunning due to the obvious lack of foothills. 3. Waterton is the Wildflower Capital of Canada and every summer there is a festival celebrating the beautiful flora of the Canadian Rockies. 4. Waterton is home to hundreds of animal species with frequent sightings of fox, bear, elk, mountain sheep, and sometimes even moose! 5. 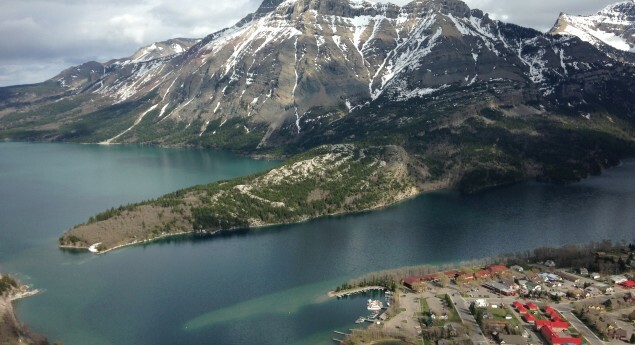 Waterton is often considered a “hidden gem” in Canada, and those who are lucky enough to visit are rewarded with virtually untouched terrain, just waiting to be explored. A fantastic family destination to reconnect and explore nature. Definitely a Canadian Treasure to preserve. We have visited many times and always look forward to seeing again. My family and I went hiking up bear mountain, it was a pleasant hike and an even more pleasant view when we reached the top. You could see the little town of Waterton and the lakes and mountains all in one beautiful scene. 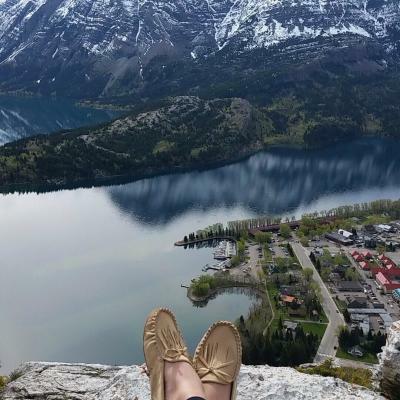 Waterton means a lot to me as it was where my boyfriend asked me out. there are many amazing sites to see and many amazing things to do. I could spend days there and never run out of stuff to do.